Organized and presented by Haggen Northwest Fresh and the Greater Bellingham Running Club (GBRC), Haggen to Haggen 5k Run and Walk will be held Saturday, May 4. This certified 5k begins at Sehome Haggen, winds through several neighborhoods including downtown Bellingham, and ends at Meridian Haggen. 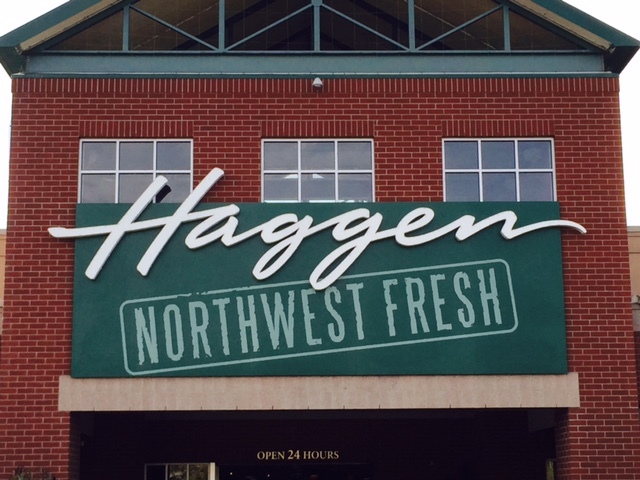 At the finish line sponsors will be sampling great products Haggen has to offer. Shuttles will be available for getting back to Sehome Haggen starting at 8:45am. Proceeds of the race support GBRC scholarship funding and provide shoe vouchers to low income high school athletes. Additional scholarship info available at https://www.gbrc.net/scholarships/. Packet pickup begins at 6:30am. Please allow 20 minutes to get from packet pickup area to race start.There will be NO packet pickup the day before the race. Race packet includes: Bib, timing chip (set up at the start and finish for runners, walker are not timed), and tech shirt (if purchased online). A limited amount of shirts will be available for purchase on the day of the race. The race will start at Sehome Village Haggen. Runners and walkers will start together at 8am. View the course map here. Course will close at 9:30am. For the safety of all participants, no pets are allowed. Prizes will be give to the top 3 male and female finished. Prizes provided by Haggen and Fairhaven Runners. Sponsors will be onsite at the race finish to provide samples for participants. Shuttles will be available for getting back to Sehome Village Haggen starting at 8:45am until 10:45am.